Ahead of the February 16 election, the National Executive Committee (NEC) of the National Action Council (NAC) said Rev. Dr. King Ezeuko Chukwuemeka is the authentic presidential candidate of the party. Rev. 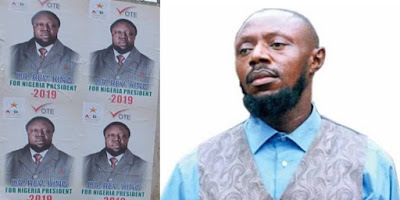 King, as he is popularly called, is the general overseer of Christian Praying Ministry, Lagos who was sentenced to death by Lagos High Court on January 11, 2007 for the murder of one Ann Uzoh. Three years ago, a sevenman panel of Justices of the Supreme Court, led by Justice Walter Onnoghen, in a unanimous judgement affirmed the death sentence that was earlier handed to Ezeugo by the Lagos State High Court. He has been on the death roll since then. Though his presidential posters had flooded most cities since last year, a few people thought it was a joke. But the party’s NEC, in a statement yesterday signed by the national secretary of NAC, Mr. Yemi Ayanlade, said: “This is indeed a trying time for our great party where monetary quest has erased the moral values and virtue. We have seen it and we disassociate ourselves from money for hand, back for ground. “This is a party which has elected a presidential candidate, however the said presidential candidate decided to sell the said ticket to a third party for the sum of N5 million. This is contained in a document dated 21st day of November, 2018 where our chairman and presidential candidate signed to relinquish her presidential aspiration to Rev. Dr. King Ezeuko Emeka (Rev. Dr. King) to be substituted for her as the presidential candidate of our noble party. “We are a party of truth and we have strong foundation upon which we have built our party. When power is in the hands of the right people, justice is certain. But those who decide to sell their birth right for monetary gain must be denied that fate and they must not be supported.” NAC added: “To this end, we are resolved to clean our party and make it whole again by supporting the person to whom the party’s presidential position has been sold to and we have concluded to do what is right. When contacted, the director general of the Rev. 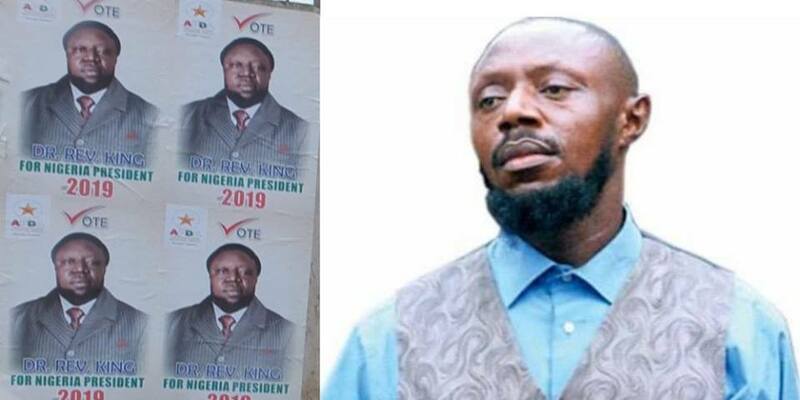 King’s presidential campaign, Alhaji Ibrahim Ali, said that though INEC had recognised Dr. Hajiya Rabia Cengiz, the party’s NEC has filed an application for her substitution with Rev. King. He said they are confident that the jailed pastor will be released soon and granted pardon to contest the presidential election. “We have filed for substitution of Hajiya Rabia Cengiz to be replaced with Rev. King, whom we believe will soon be released and granted pardon to contest the presidential election. Rev. King is popular and we are hopeful that he has a divine mandate to rescue Nigeria. “We have also filed a case in the court against her for refusing to step down for Rev. King in line with the agreement she earlier reached with us (Rev. King) and the party,” Ali said. On whether the time for substitution of candidates has not elapsed, the DG explained that until the case in court is disposed of, the time would remain valid. Attempts to get the presidential candidate, Hajiya Rabia Cengiz, to react to the development were however not successful.